This is Database of ALL NSE Script for last 5 yrs. Test, can it be done for BSE ? its missing data from 04/03/17 to 05/04/17..... any idea how to add missing data. Amiquote downloads data but doesnt update the database in that data range. It only updates latest data. Any manual or automatic solutions? for few stock i did that .Process is lengthy and i am only 1 person. 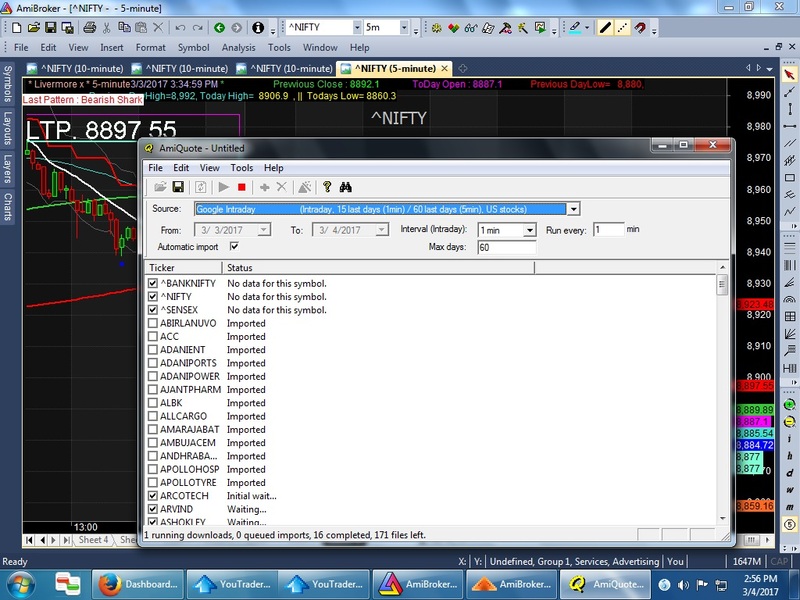 nse eod database 4 amibroker.